Greetings, citizens of Eora! We're very excited to bring you an update that goes over the multiclassing system in Pillars of Eternity II: Deadfire. You may remember way back in Update #7 when we discussed how the system would work, but changes were made and we wanted to make sure we discussed them. So, join Josh and some of the Deadfire team while we talk about all things multiclassing. The video touched on some of the changes, but Josh himself has some words on what has gone into the multiclassing and subclassing system. Take it away, Josh! It's time for a big ol' update on multiclassing and subclassing. Both features are new for Deadfire and we wanted to let you know how they've developed over the past eight months. And now, the lists you've all been waiting for... first, the multiclass titles! These titles are displayed on your character sheet along with the individual classes and subclasses your character uses. And all of our subclasses with a brief description of what the subclass is all about. Corpse Eater - Targets unconscious enemies to devour their flesh and gain power. Powers cost more to use. Berserker - Has a more powerful Frenzy, but attacks can damage friends as well as foes while Frenzied. Mage Slayer - Gains spell resistance and can disrupt enemy spells, but cannot use potions or scrolls and beneficial spells have shorter durations. Beckoner - Summoning invocations are cheaper and summon more creatures, but the creatures are weaker. Skald - Offensive invocations are cheaper and melee crits grant phrases, but all other invocations are more expensive. Troubadour - Phrase linger is 50% longer, Brisk Recitation as a modal that increases the rate of phrase elapses, but shortens linger. All invocations are more expensive. Ascendant - Powers and Soul Whip are more effective when used at Max Focus, but Focus drains quickly if left at Max for long. Beguiler - Illusion powers are more powerful, but Soul Whip suffers when used against targets that are not vulnerable to Sneak Attack. Soul Blade - Offensive cipher that can dump Focus into a Soul Annihilation melee attack for extra Raw damage. Shred powers have reduced Focus cost. Lower Max Focus. Fury - Shift into storm blights and gain bonuses with elemental spells. Cannot cast Restoration spells. Lifegiver - Rejuvenation spells are cast with increased Power Level but cannot cast Summon spells. Shifter - Druid can shift to any animal form, once each, per combat and heals damage each time they shift back. Cannot cast spells while shifted. Black Jacket - Bonus weapon proficiency, reduced Recovery when switching weapon, but lacks Constant Recovery. Devoted - May only be proficient in a single weapon. Higher Penetration and crit damage with that weapon. Suffers Accuracy penalty when using other weapons. Unbroken - Bonuses to Engagement and Disengagement Attacks, but lower Stride. Helwalker - Begin all combats with Wounds, gain Might for every Wound. Wounds require more damage to acquire. Nalpazca - Drug effects last longer and Wound cap is increased while under the effects of drugs. Penalties while not under the effect of drugs. Shattered Pillar - Gain Wounds by inflicting damage with melee weapons (fists or otherwise). Lower Max Wound cap, does not gain Wounds from receiving damage. Bleak Walkers - Flames of Devotion (Remember Rakhan Field) generates black flames and does Corrode damage. Healing given and received is reduced. - Cannot multiclass with priests of Eothas, Berath, or Skaen. Darcozzi Paladini - Lay on Hands (Flames of Darcozzi Palace) creates a flame shield around the paladin. Lower Zeal power. - Cannot multiclass with priests of Berath, Magran, or Skaen. Goldpact Knights - Sworn Enemy (Gilded Enmity) creates protective gold armor on the paladin. Cannot learn Zealous Auras. - Cannot multiclass with priests of Magran or Wael. Kind Wayfarers - Flames of Devotion (Sword and the Shepherd) heals nearby allies. Does less damage against enemies vulnerable to Sneak Attack. - Cannot multiclass with priests of Berath, Magran, Wael, or Skaen. Shieldbearers of St. Elcga - Lay on Hands (St. Elcga's Grace) prevents the target from being knocked out for a short duration. Cannot use Lay on Hands on self. - Cannot multiclass with priests of Skaen, Magran, or Wael. Ghost Heart - Animal companion must be summoned as a spirit. They are not affected by Bonded Grief and the companion is more powerful, but the summon is limited duration. Sharpshooter - Bonuses to Penetration and Accuracy at range, but slower actions and lower Deflection. Stalker - Stalker and companion gain bonuses to Deflection and Armor Rating when close to each other, suffer Bonded Grief when too far apart. Assassin - From stealth or invisibility, weapon attacks have bonus damage, Penetration, and Accuracy. All incoming damage is increased. Trickster - Gains access to Illusion spells from the wizard list. Sneak Attack deals less damage. Conjurer - Conjuration spells are more powerful, cannot cast Evocation or Illusion spells. Illusionist - Illusion spells are more powerful, cannot cast Conjuration or Enchanting spells. 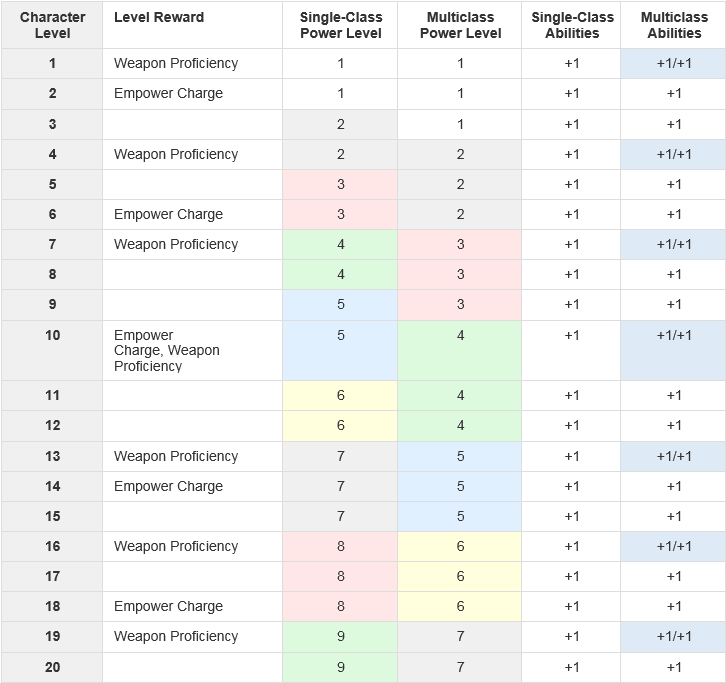 The subclasses are still undergoing testing, so there may be changes to the specifics of implementation along the way. We hope that this glimpse into Deadfire's multiclassing and subclass systems gives you endless ideas for different characters you could build until the game is released. Thanks for reading. All other tiers will remain open until October 31st, so mark that date if you want to up your pledge or let your friends know to get in on Deadfire early! We hope you've enjoyed this update and we'll be back in a few weeks with another From the Feed of the Director. See you then! If you missed the last update, be sure to check it out. 1:03 *SMACK* WOAH! That hit like lightning out of nowhere! Dat 3D model is absolutely stunning! Now... so much amazing things in this update. 1:12 Really like that it is "Philosophy", so fitting for Monk! Also, on the Shattered Pillar Philosophy, "melee weapon", IIRC, Fists/Unarmed count as melee weapons, correct? Also, "Sister of the Reaping Moon Philosophy" becomes "Brother of the Reaping Moon Philosophy" if it is a male character? - A) Is there a way to see what Passive effects each familiar gives, or do they all give the same? - B) Can you name a Familiar? 1:44 This! This is fantastic stuff! Loving the whole Character Sheet terminology used as well. Great time to review and compare various different builds. Easy to write down and jot down notes around and build a proper character with :D Thank you! 1:49 Nitpicky but, Sleight of Hand and Mechanics causing the list to look askew and off a little bit. Could it be possible with two columns? (Plenty of space for it) And putting any extra information in Tooltips/Toolboxes when/if hovering over the skill names with the mouse pointer? 2:46 "First off a Shadow Dancer using an upgraded Escape" *mouth open* Uuuuuh... that... what... wow! First off, that was amazing! Animations are so smooth! Just curious if there's any possibility a foe may fall Prone from a Skyward kick (And whether the "Prone" animaton" can be used in combination mid-air somehow, making it look as if the target gets hit upwards and perhaps backwards). Kung fu kick! In general, all the presentations look great (the first one took the cake though). It mostly makes me just want to try out various combinations. Sister of the Reaping Moon is Xoti's specific subclass, which is unavailable to the player. So yeah, probably just for testing. I things I noticed: Full list of skills at the end of the creation. Familiars are in! (Sort of.) Shadowflame and Crushing Doom on the wizard spell list. I'm glad they made the cut again. I don't know if these are final, but the sound effects are awesome. Also, 7 active skills + 10 passive skills = 17 skills this time! Impressive! Not sure if this is helpful but i believe the new affliction system is more comprehensive than the first game. In POE priest basically was needed to combat all afflictions with prayers there were scrolls and paladin stuff. In the new system the block/counter to afflictions are being spread out to other classes. So priest aren't as 'necessary'. I know they have monster buffs also. Loving the system of multiclasses in Deadfire, I did feel upon hearing about the previous system that it would turn character building into something of a chore but I feel this new one really streamlines it and explains the balance and tradeoffs much better. Assuming I'm understanding correctly, the middle aspect was improved at almost the complete expense of the last aspect. No one needs to tell me gameplay comes first, but I liked the old system much more in this respect. Probably won't use this one at all. I'm also happy with AD&D-style multiclassing, although it isn't clear to me whether it is still possible to multiclass companions now? I mean, cool update. Interesting the spell schools. Interesting that some subclasses get access to features from other classes. That's a bit of an overlap between multiclasing and subclasses. An Illusionist/Trickster multiclass would probably be overkill.